Bearded dragons have been steadily increasing in popularity over the last few years. In fact, the inland bearded dragon is considered one of best lizard pets of all time. They are fascinating creatures and well known for being alert, hardy, and tame making them ideal pets even in light of their exotic nature. Take a walk into any pet store or reptile expo and you’re likely to find at least one captive-bred species of bearded dragon. Captive-bred bearded dragons are highly recommended because they are healthier and more accustomed to captivity than wild bearded dragons. While bearded dragons are readily available as pets to reptile owners and enthusiasts, they are still considered exotic animals. With that said, beard dragons require special care and a specific diet. Bearded dragons are omnivorous and will eat a mixture of both insects and vegetables. Some larger dragons will even eat pinky mice and baby lizards. When caring for younger dragons, provide a diet that’s 80% bugs and 20% plants. For adult dragons, give them the opposite diet consisting of mostly vegetables than bugs and insects. What vegetables do bearded dragons eat? There are a handful of vegetables that are considered safe for your bearded dragon to eat including, bell peppers, cabbage, carrots, celery, kale, and asparagus. The list is as many as 50 different vegetables that can be consumed by your dragon to give them the nutrition they need. When feeding vegetables to your dragon, make sure they are chopped up. Mix up a bunch of different options to create a blend your dragon will love. Avoid vegetables such as spinach, broccoli, and romaine as too much can be harmful, or they offer limited nutritional value. Bearded dragons will also eat fruits like apples, strawberries, watermelon, and peaches. Aside from delicious fruits and vegetables, dragons will eat just about any insect that moves. However, it’s important that the bugs they eat are safe and free of parasites or pesticides. This means avoid using bugs that you find around your home. Some common bugs and insects to feed your dragon include earthworms, cockroaches, silkworms, crickets, and roaches. 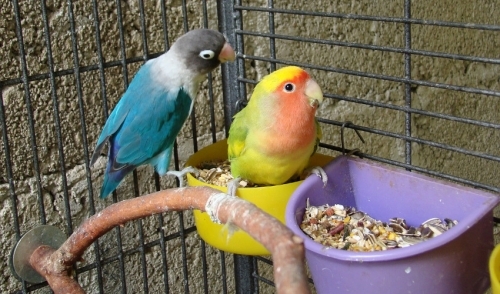 Out of the list of options the most popular feeder insects are crickets and dubia roaches. Some people prefer crickets over roaches because crickets are less creepy, but roaches don’t smell bad and have a longer lifespan than crickets. 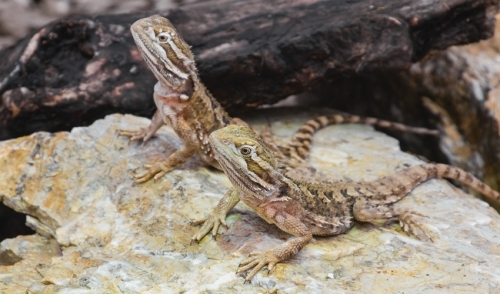 Both options are healthy choices for bearded dragons, yet dubia roaches are preferable as they are less likely to carry parasites and have twice the amount of protein crickets do. After all, if having a bearded dragon as a pet is not creepy, then feeding it roaches shouldn’t be too difficult. The last element of feeding bearded dragons is adding a calcium and vitamin D3 supplement. These supplements can be sprinkled onto vegetables or insects and will give your dragon the support it needs to prevent metabolic bone disease, a fatal disease that affects bearded dragons. If you’re a new owner don’t hesitate to talk to your local pet store or captive breeder to learn how to better care for your dragon. Bearded dragons are amazing animals and do make great pets for both kids and adults. Follow the advice in this article and give your dragon the quality care and diet it needs.